I know what you're thinking. "Wait, what? Assassin's Creed has a story?!" 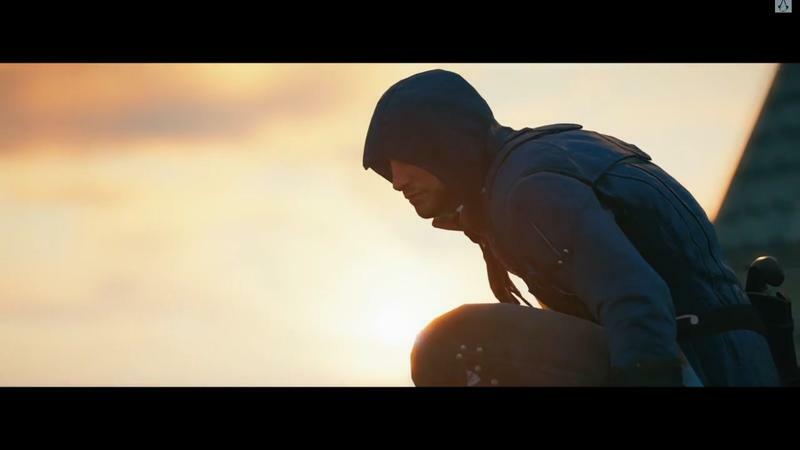 It's true, and Ubisoft has released this story trailer for Assassin's Creed Unity to prove it. With that said, for something called a story trailer it's kind of hard to tell what's going on. Like Ezio in Assassin's Creed 2, protagonist Arno's father was an assassin. Arno says he's joining the order for redemption rather than revenge, so his motivations aren't the same. We get a better look at the Templar named Elise, with whom Arno has a romantic relationship. With Assassin's Creed Rogue being about an assassin betraying his order, it's unlikely Arno will do the same for his romantic interest, though. Meanwhile, we see at least a couple historical figures: Napoleon Bonaparte, who was a young man during the French revolution, as well as Marquis de Sade. There are also lots of angry people being stabbed and shot by other angry people. I'm actually excited to play an Assassin's Creed game set in this era and location, it's just hard to tell what's going on through all the blood. If the last few games are any indication, the story will be messy, disjointed, and lots of fun. Assassin's Creed Unity is set to release Nov. 11 on PC, PlayStation 4 and Xbox One.